Cost effective and time saving automotive fleet services that keep your vehicles on the road and ensure you stay legal. Our SME and corporate fleet team provide a One Stop Shop consultative approach to organisations with car and van fleets operating 20 or more vehicles. Customer service is taken seriously by ensuring each of our fleet customers has a dedicated account manager, regardless of fleet size. Move Vehicle Leasing have many years combined experience in the automotive fleet management industry with a wealth of knowledge and expertise within our team. We act as your "fleet consultants", always able to give advice when you need it. 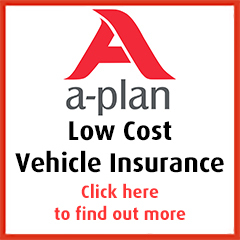 We offer a free without obligation automotive fleet review where we assess current and future needs in order to identify possible cost and time savings also ensuring that your legal duty of care requirements are fully satisfied. Our unique approach centres around our aim to provide the absolute best customer service. As a Move Vehicle Leasing customer you have access to a dedicated account manager who personally takes care of your fleet requirements and provides a pro-active service. The SME and corporate fleet team are passionate about what they do and are always on hand when you need them. Whether you have an urgent rental requirement, a very complicated order for the CEO's new car or just want to review your contract mileage, we're here to provide you with the service you need, when you need it. Comprehensive fleet management for all fleet sizes and sectors. We all know running and managing a fleet can present many challenges and be fraught with complications, so to counter this we have developed a comprehensive fleet management service. Our packages are bespoke and tailored to fit each individual customer. Systems and procedures have been honed over many years and are designed to be flexible enough to be tailored to companies of all shapes and sizes and moulded to cater for the specific dynamics of any industry sector. Reducing your time and costs. Take a minute to think about the specific characteristics and requirements of your fleet operation and any particular aspects that have to be dealt with, regardless of how small. Ask yourself just how much of your time, your drivers' time and, ultimately, how much of your company's money it absorbs? Whether it be arranging foreign travel letters for vehicles, supporting drivers by organising vehicle servicing or booking hire cars to name but a few, we can tailor a bespoke package to streamline any fleet. A wide portfolio of leasing and finance providers. When it's all about price. Our online document and order e-signing facility allows you to electronically "sign" your new vehicle orders at the touch of a button. The process is easy and super fast. No more printing, scanning or faxing! If you wish to arrange an automotive fleet review meeting or simply want to discuss your specific automotive needs, please call the SME and corporate fleet team on 0330 022 7260 or request a call back.